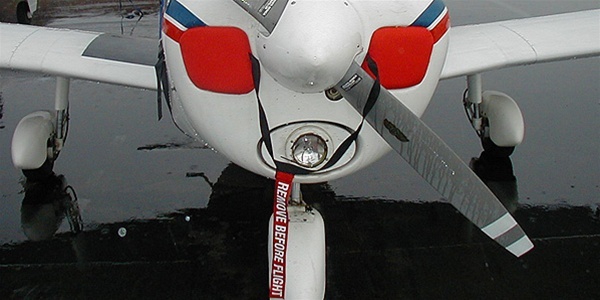 With attached "Remove Before Flight" streamer for general aviation aircraft. Prevents bird and foreign objects from entering the cowl. Comes complete with a linking lanyard and "Remove Before Flight" streamer.